The holiday shopping season is coming and the right time to start your holiday marketing is today if you haven’t already. The Halloween candy has been on the store shelves for a couple of weeks and the costume shop at the State fair grounds is open for business. October 31, Halloween is the first big holiday of the season. Offer up some Halloween specials for those westernshirts and bib overalls like free shipping. Thanksgiving is just around the corner on November 24. Turkey and football and planning for the next day’s shopping. The day after Thanksgiving, this year is November 25, is called Black Friday, the single biggest shopping day in the United States. Get your online store ready for this. Cyber Monday, November 28, when millions shop online for their holiday gifts. Plan ahead for what great deals you can offer for this day. December 17 is the time to communicate a sense of urgency to your customers. Maybe offer a shipping deal on a larger quantity order of Arctic Ice Lanterns. North Anthony Pharmacy North Anthony Pharmacy North Anthony Pharmacy Christmas Eve is on a Saturday this year that makes overnight shipping more difficult. Check with your delivery services like the USPS, UPS, FedEx for their holiday delivery schedule and keep your customers informed of delivery deadlines. December 20 marks the start of Hanukkah. Offer gift suggestions for each of the 8 days or send a series of emails to your list with suggestions. 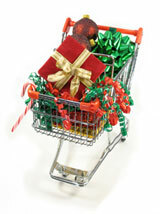 Christmas Eve, Saturday, December 24thwraps up the holiday buying season for brick and mortar stores this year. Christmas Day, December 25 is a time to celebrate with family and friends and open all the gifts, some of them from your online store. The Day after Christmas is when many will be using those Holiday gift cards they received. And, you should already be well on your way with plans for your next marketing event, January’s cruise wear, white good sales and Valentine’s Day.